Far out! This copacetic creation by French cat Jimmy Fortel makes me wanna turn on, tune in and drop out. 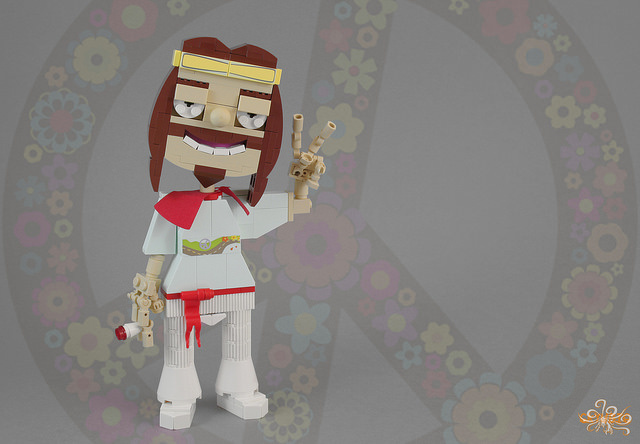 Can you dig the narly design of this dude’s mellow face, the totally tubular outfit, and groovy fingers? Radical. Peace out, man!